Villazón and Handel - a surprising musical coupling: vital, passionate, idiomatic. "Ciel e terra armi di sdegno"
. . . his lustrous Latin timbre makes a refreshing contrast to the slimline voices now fashionable. The best of these arias -- "Ombra mai fu" ("Serse"), "Scherza, infida" ("Ariodante"), "Cosí la tortorella" ("La Resurrezione") -- make compulsive listening.
. . . Villazón is a fine musician . . . he sings with such dramatic intensity and verbal clarity that these performances (particularly in the slower numbers) are often tremendously alive and involving -- sample the recitative and arioso of Bajazet's death scene from "Tamerlano" or Ariodante's moving lament "Scherza infida" to hear the magic working. This is splendidly clean singing . . . Completely persuasive as Grimoaldo (¿Rodelinda¿) and San Giovanni (¿Ressurezione¿) , he provides even finer ¿ indeed, devastating in Bajazet¿s death scene (¿Tamerlano¿) . . . Under McCreesh¿s authoritative leadership, the Gabrieli Players perform immaculately . . . The disc was made at one of Britain¿s finest recording sites, All Saints¿ Church, Tooting ¿ listeners could hardly wish for better sound. My, how times have changed. Not only is a star tenor who made his reputation in Verdi and Puccini turning out a Handel recital, he's doing it better than most baroque specialists would. With the specialist authentic group the Gabrieli Players under Paul McCreesh backing him up, Villaz?n braves some of Handel's most famous arias -- many of them with elaborate accompanied recitatives attached. About half weren't even written for tenor but for a castrato. Purists might blanch, but even the hardest-core might be won over by the Mexican star's beautiful enunciation, tasteful decoration and poetic shadings. One of the roles here actually written for tenor, Bajazet in Tamerlano, is perfect for Villaz?n. Too bad he doesn't sing all the character's numbers . 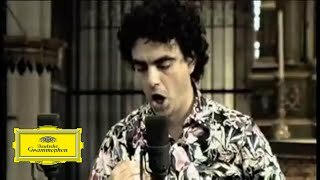 . . Of course, Villazon's voice has that gorgeous tenor ping that few others share these days, fewer still among those singing Handel. Both baroque fans and Villaz?n fans are going to love this one.
. . . there's plenty to enjoy, not least that silky, muscular voice and the little quarter-tone grace-notes he can't help inserting: a different tenor sound from what we are used to -- more butch and baritonal . . . McCreesh and the Gabrielis play it, as ever, with total commitment and a real, driven verve.
. . . [Villazón's best work] is in the arias Handel wrote for the tenor voice. The two arias from "La ressurezione" are gentle [and Villazón sings them quite well] . . . The music lies easily on Villazón's voice and the florid music is performed cleanly and clearly . . . Most succesful are "Ombra mai fù" and "Più che penso" from "Serse" and "Scherza, infida" from "Ariodante". All three arias are moderate in tempo and not as elaborate in coloratura, and Villazón sings these very well . . . Purchasers of this recording will be rewarded with some very good singing . . .
. . . jede Menge Energie und Power. An Temperament fehlt's dem südamerikanischen Tenor ohnehin nicht.
. . . dieser glühende Ausdruckswillen in den Rezitativen, diese vollstimmliche Attacken, diese kaum gezügelte Vibratolust. Über jeden Zweifel erhaben: Paul McCreesh und seine Gabrieli Players. Une chose frappe d'emblée: l'adéquation de l'instrument à certains personnages haendéliens. Villazón campe presque idéalement Grimoaldo, le tyran éclairé . . . Son timbre sombre, son chant énergique et son intensité dramatique font merveille dans ces emplois de "baritenore", avec notamment des récitatifs d'un relief extraordinaire. Dans les airs de l'oratorio "La Resurrezione", où l'on attend a priori une voix plus légère et plus lumineuse, retenue et sobriété sont également au rendez-vous. L'on ne peut que saluer bien bas la performance . . . nous aurions, sans aucune hésitation, décerné un Diamant à ce disque, très bien accompagné de surcroît par Paul McCreesh et ses Gabrieli Players. S'il est vrai qu'un artiste, comme un sportif, se juge à ses records, il est sur le disque Haendel de Villazon quelques plages qui méritent tous les "Diapason d'or". Dès les premières mesures du récitatif de "Rodelinda" -- impression confirmée par l'air . . . puis par la quasi-totalité de la scène finale de Bajazet du "Tamerlano" -- nous nous rendos à l'évidence: jamais nous n'avons entendu dans ces pages pareil ténor doube d'un tel artiste. La tessiture de ces rôles de bary-ténor . . . sied idéalement à la voix de Villazón qui ne cède rien dans les graves, et pas une couleur sur toute la longueur du spectre. L'art de la parole est proprement sidérant, les mots sculptés avec un métier sans égal, tout venu de l'intérieur, tout transformé en théâtre. La richesse du timbre et le style qui l'accompagne produisent un legato de rêve, souple et vibrant, rythmiquement vif: voilà un phrasé qui ne dort jamais . . . "Serse"? Wunderlich l'a fit, et Villazón n'a rien à craindre de la comparaison . . .